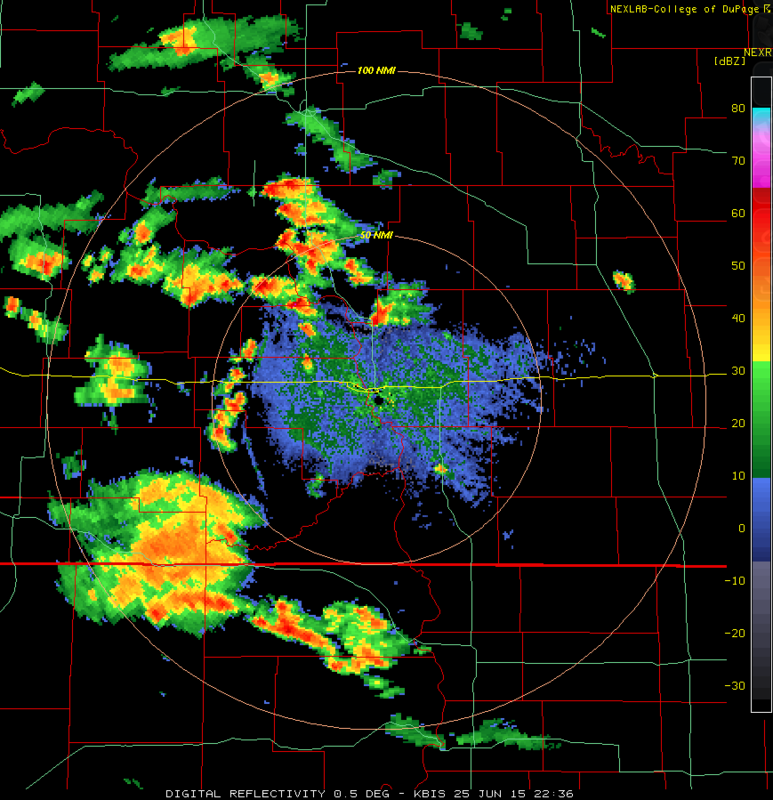 There were some hit and miss thunderstorms in central and western North Dakota in particular yesterday. 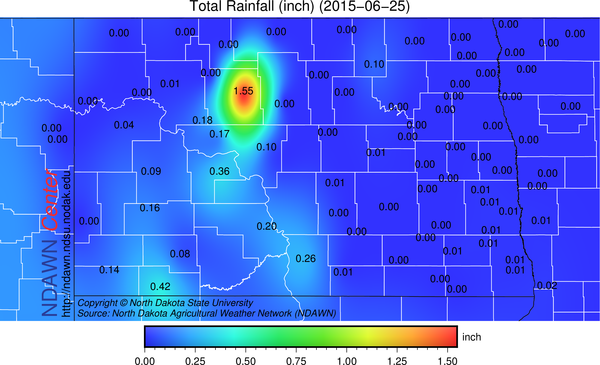 With the exception of the Minot NDAWN station, most other recording sites did not record much rainfall. Even with the city limits of Minot, reports of around one-third of an inch was more common, but the 1.55 inches recorded at the NDAWN site just south of the city is another example of how any thunderstorm can produce a quick inch of rain in highly localized locations. A similar, albeit probably not quite as widespread event, is expected in eastern North Dakota and western Minnesota this afternoon, but the key is hit and miss. 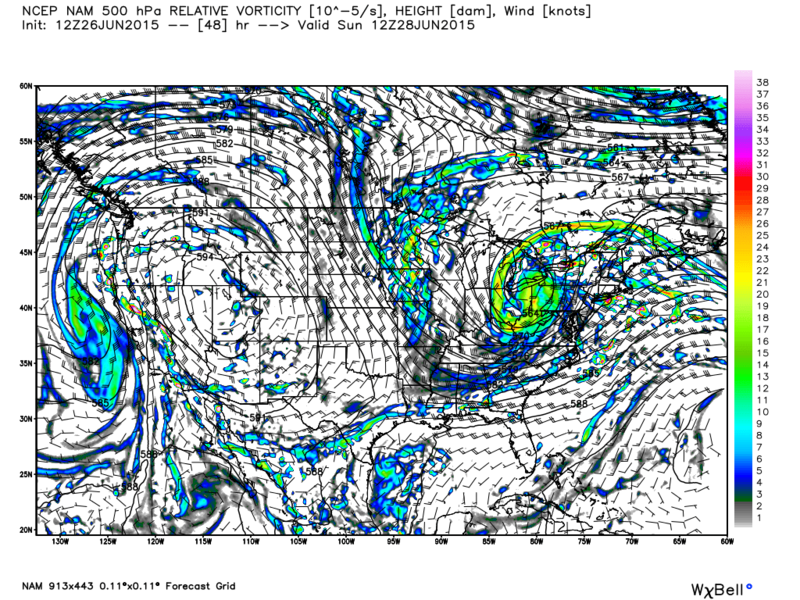 A stronger event is expected on Saturday, especially late into the day into Saturday Night. That threat of storms will be associated with a disturbance (vorticity) moving over the large ridge of high pressure that will be building in the Rocky Mountains. That disturbance should trigger a cluster of thunderstorms developing in Manitoba and then push southward through Minnesota, including eastern portions of North Dakota. Behind that rain/thunderstorm threat, the ridge in the west will build just far enough eastward to continue with the warmer temperatures of the past couple of days with the highest heat in the short term arriving on Monday and Tuesday, the last days of June. Above average temperatures, with little precipitation (outside of the Saturday PM/Sunday AM event) is expected through the middle of next week. That ridge is then expected to shift more westerly, allowing for cooler air to move back into the upper Midwest for the Independence Day weekend. June is going to finish slightly above average for temperatures and my projection for July is for the month to finish with slightly below average temperatures. I do believe the core the the “coolness” in July with be south and east of North Dakota and northwestern Minnesota but a slightly below average month is anticipated, it is just the anomalies from average locally may not be as strong as areas to the south and east of the state. Precipitation for July, like June, will be highly variable, with an overall tendency for near average but with few locations actually near that average, as thunderstorms will produce fluctuations on either side of “normal” in localized areas, but regionally, all those rainfall totals coming in near average region wide, which is similar to what has happened this month. (June).